I am thrilled today to be showcasing and reviewing I Am Jackie Robinson as part of Multicultural Children's Book Day, whose mission is to raise awareness of the ongoing need to include kids’ books that celebrate diversity in home and school bookshelves. This special book is part of Ordinary People Change the World, an engaging and fun series that bring American history to life, providing young children with inspiring role models, supplementing the Common Core learning in classrooms, and, best of all, inspiring them to dream and achieve. What does it mean to "Be brave"? Those two words can convey so much. Jackie Robinson states no one is born brave and that it's okay to be afraid, just don't let it stop you. These words came to define him. 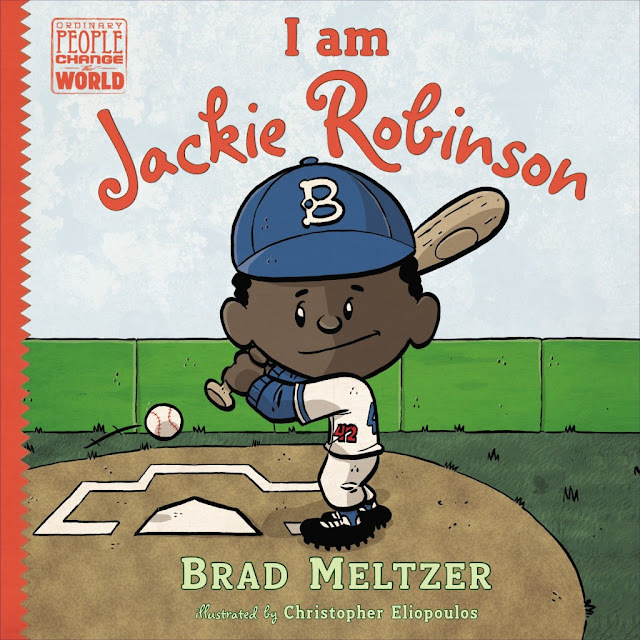 My whole family was impressed with how well author Brad Meltzer brought to life Jackie Robinson's life in this picture book/graphic novel. 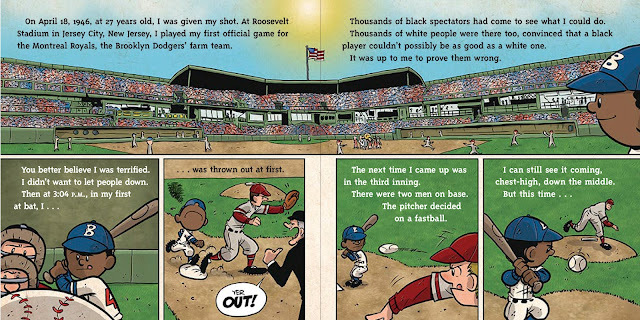 With skillful writing, humor and fantastic illustrations, the story of how Jackie Robinson came to lead the way to equality in sports in America was lively and a page-turner, even for us adults. My husband saw this book on the kitchen table and began reading it. "This is a good book," he said with a look of respect on his face. My son too, now a young teen, loved it, from the way the story and message were relayed to the "cool" illustrations. From childhood to early adulthood, this book depicts how Jackie had to deal with racial prejudice in his life. With the wisdom displayed by his mother and a local mechanic, Jackie learned some valuable lessons that led him to be the person he became. Jackie was an ordinary kid who loved sports. And this love of sports and his exceptional skills at playing led him to be courageous as he braved the insults and barriers he had to push aside in order to redefine sportsmanship. This all comes through beautifully with vocabulary and situations both boys and girls can relate to. It's a kid's book appropriate for ages 4 to 100. Chris Eliopoulos' comic drawings are fun, lively and full of emotions. There was one drawing that brought tears to my eyes. A black man in the stadium audience who has his arm around his young son as they both watch the game. A tear is tricking down his cheek. Powerful. 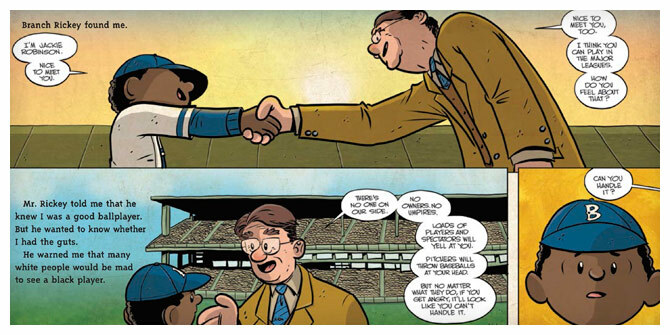 Although my hometown city Montreal is known for its legendary National Hockey League team, it made history in 1946 when the Montreal Royals, the Brooklyn Dodgers farm team, broke the color barrier when they played Jackie Robinson. Montreal fans cheered and accepted the first black player who made history with his famous home run. This was mentioned in the book. What an inspiring important book this is! I highly recommend it as a tool to teach American history, social studies, moral ethics and sports history. This one is a gem. Disclosure: Thanks to Brad Meltzer and Dial Books for sending us this book for review. We were not compensated in any other way, nor told how to rate or review this product. 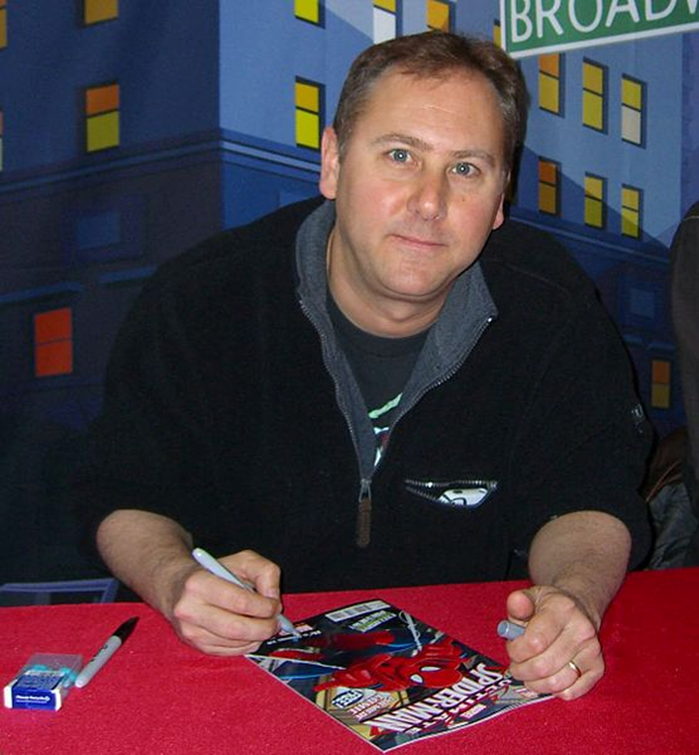 Chris Eliopoulos has worked in every aspect of comic book creation. He’s most known as a prolific letterer, but in recent years has begun writing and drawing comics, some of which have been nominated for Eisner and Harvey awards. 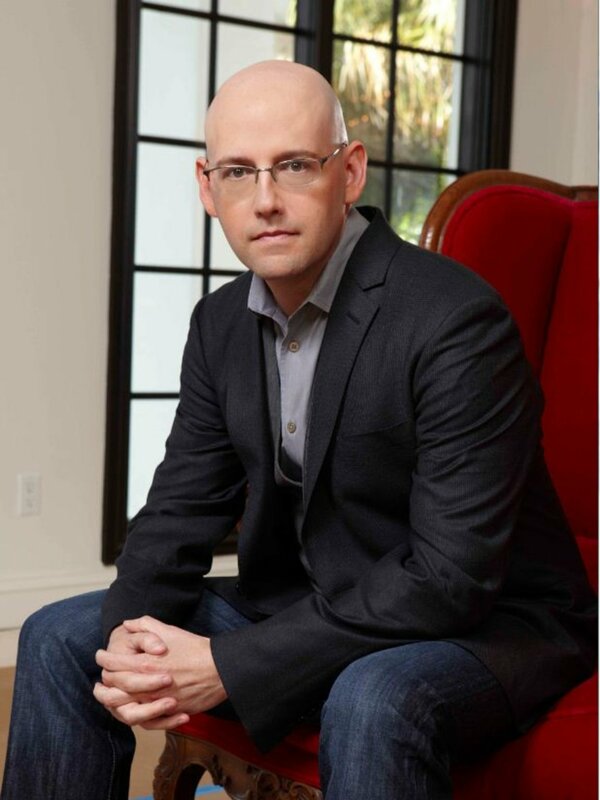 He’s created books like Franklin Richards: Son of a Genius and the Pet Avengers for Marvel. He’s also created a webcomic called Misery Loves Sherman. 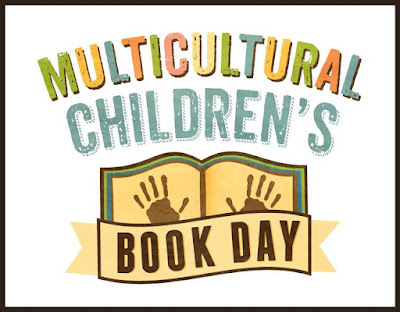 If you want to share this post and this event please use #ReadYourWorld. Looks great. JR had such a huge impact on the world! Yes, and we are glad for it. Aren't these biographies by Brad Meltzer wonderful? Your review is spot on. Yes, and I want to read more of them.